In people without diabetes, the pancreas makes small amounts of insulin continuously to cover the body’s constant need for glucose, which is produced by the liver during times of fasting. 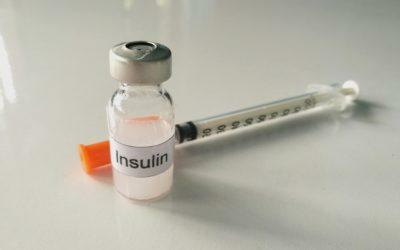 This is called basal, or background, insulin. If you have diabetes, your pancreas may not make any basal insulin. You have to inject some, or your cells won’t be able to get the glucose out of the bloodstream. They will starve while your blood glucose rises. If you don’t get enough basal insulin, blood glucose will rise, but too much basal insulin can cause hypoglycemia (low blood sugar). Surprisingly, too much basal insulin can also cause higher A1C (a measure of blood glucose levels over the previous 2–3 months). How could this be? Certified Diabetes Educator Joy Pape writes on Diabets Control, “Patient after patient whom I see [with] an elevated A1C often has frequent low glucose levels…. Most think a high A1C means one needs to increase insulin. Not always! Pape says that continuous glucose monitoring (CGM) often shows that glucose levels go too low, and then rebound to go too high. This rebound is called the Somogyi effect and usually happens at night. How might you know if a Somogyi rebound is causing higher A1C levels for you? A1C is a combination of two factors: your blood sugar levels after meals (postprandial) and your levels when you haven’t eaten (fasting level). If your postprandial numbers are not too high, but your A1C is, then your fasting level is probably high. This might be due to either not enough basal insulin or too much. It takes work with a doctor or CDE to get basal dose right, and Scheiner say that, until you do, you can’t really get your whole insulin plan fine-tuned. If your A1C does not seem to match with your after-meal numbers, consider asking for CGM monitoring of your basal levels.